Wounded IDF soldiers share stories of terror and bravery with Jewish students on West Coast campuses. As Israel and the IDF dominate international headlines, two IDF veterans, Matan Roettger and Or Porat, are visiting college campuses in the United States to talk about their real-life experiences fighting terror and keeping civilians safe. Matan Roettger, 22, served in the Kfir brigade as a combat medic and a company medic. While on a mission to find three wanted Hamas members, he was deliberately rammed by a car, along with two other members of his unit. Matan lives in Mishmar David, a small community in central Israel. Or Porat, who lives in Jerusalem, served in the elite Duvdevan commando unit. A terrorist threw a bomb at Porat during a covert mission, injuring his right leg. He still has difficulty walking to this day. 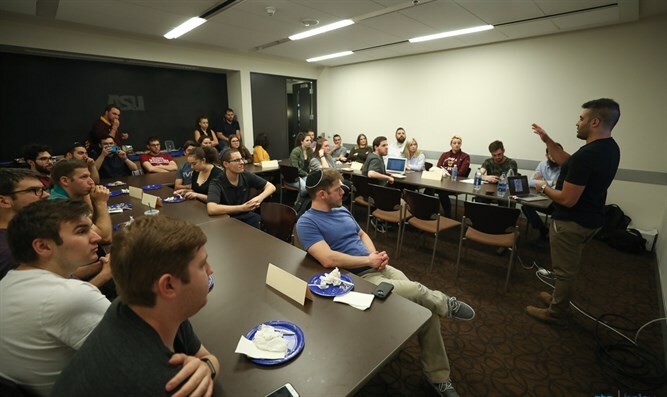 The veterans are traveling to campuses throughout April and May, talking about their time in the IDF, the operations in which they were injured, and their recovery process. They are also celebrating Shabbat with students. Roettger and Porat are visiting seven campuses in Arizona and California: Northern Arizona University Flagstaff campus; Arizona State University; Chapman University; UC Irvine; California State University, Northridge; UC Berkeley and California Polytechnic State University. 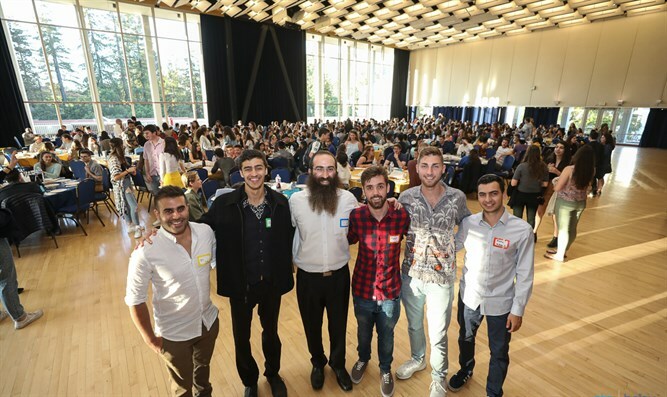 The soldiers’ tour was organized by Balev Echad, a group that supports wounded Israeli veterans, together with Chabad on Campus International. Founded in 2009 by Rabbi Uriel Vigler of New York and his wife Shevy, Balev Echad is dedicated to helping veterans of the IDF reintegrate into civilian life with the love and support they need to thrive. Money raised helps wounded Israeli soldiers live fulfilling lives after giving so much to defend their country.